Based in Sacramento, our mission is to safely provide high quality general engineering services on time, delivering the best value to you. A family tradition of serving with instilled core values since 1948, we are motivated to share our knowledge gained over the decades. We aim to give you, our customer, an exceptional experience and outstanding results! From the front yard to the back yard, we assure quality concrete pouring for all of your home needs. We are a full service asphalt contractor company. Our contractors bring fifteen years of experience in the industry to each project we undertake. 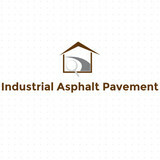 Industrial Asphalt Pavement in West Sacramento, CA is where good workmanship meets fair pricing! Our asphalt contractor company is fully licensed and insured for your total protection and the protection of your property. We offer a wide range of asphalt services including installation, sealing, repair, resurfacing and maintenance. Our contractors provide warranties on all our work. 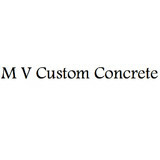 We can also provide you with a free estimate on all your residential and commercial property asphalt projects. Call Industrial Asphalt Pavement in West Sacramento, CA at 916-826-8085 today to discuss your asphalt repair needs with our experts, to schedule your asphalt installation appointment with us as well as to find out more about our full range of available services.